R3 Thin Client developers can design reports at will and link them to thin client menu items. 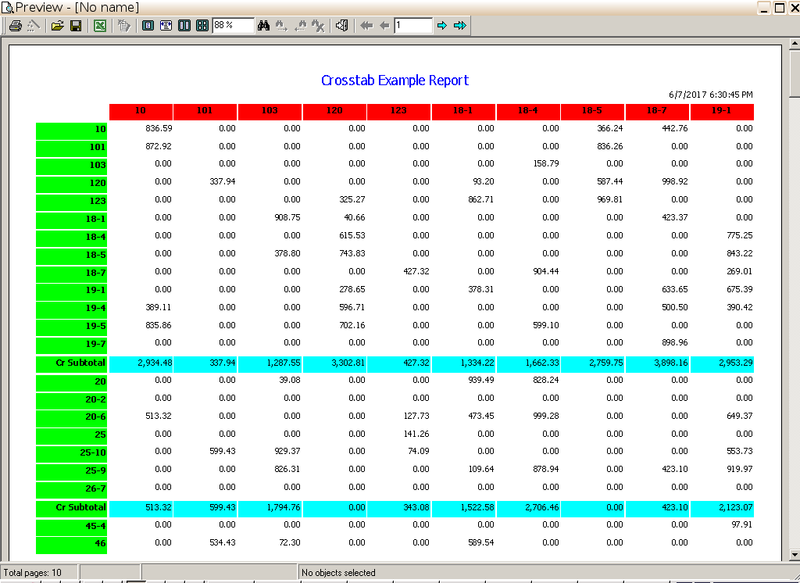 End users can then either preview and print these reports or output the SQL results to file. Virtually all R/3 database tables can be used as the data source of reports. Here r3client and nation are two parameters. Switch to page Parameter and specify their purposes and meanings and then these parameters are ready for end user's input. R3 Client#: This parameter applies only to R/3 reports. R3 Thin Client will automatically fills this parameter with the client with which the end user currently connects to R/3 server. Login Account: This parameter applies only to R3 Thin Client reports. R3 Thin Client will automatically fill user's login account into this parameter. Language#: This parameter applies only to R3 Thin Client reports. R3 Thin Client will automatically fill end user's active language code into this parameter. R3 Thin Client protects SQL injection attack. Because end users can only enter parameters for reporting. R3 Thin Client subsequently insert these parameters into SQL text. PostgreSQL aborts the SQL execution when it encounters an invalid SQL text. The main data set name is mds. Refer to Section 10.1 for information about setting phrases. Imaging you are designing a report template which has a field title "Employee Name" in English. Because this report template will be used by global users speaking various languages, directly embedding constant literal Employee Name in this template apparently will not work for non-English speaking users. The correct approach is adding a report field with value C245. Here literal C is constant and must not be changed, and number 245, which immediately follows constant literal C, is the phrase# (not the long description#). With this set, end users will get Employee Name in their own languages when running this report. This variable (case sensitive) will be substituted by the report name (not the long report description) when end users run reports. R3 Thin Client converts the variables embedded in SQL text (see Section 10.2.1) to report variables (case sensitive). 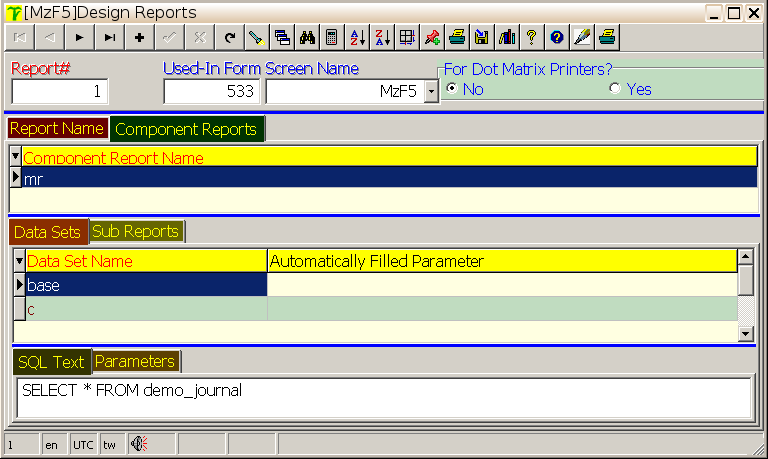 The values entered by end users when running reports are taken by report variables and displayed as the corresponding report field values. Report outputs can be saved to files in Excel format. Some report template design can not be achieved by using only one SQL. Take accounting journal in PostERP as an example. Amount records are indexed by sequence#. Every sequence# associates with multiple tag. Given such schema, if we place the data set extracted by a single SELECT command on report detail band and sub-total the amount field, we will get wrong amount sub-total, which is the sub-total of amount in detail records of duplicated occurrences determined by the number of tag rows associated with its sequence#. The correct solution for designing such reports is utilizing sub report technique. Please refer to report# 9, Sub Report Example, attached on screen [MzF5]. 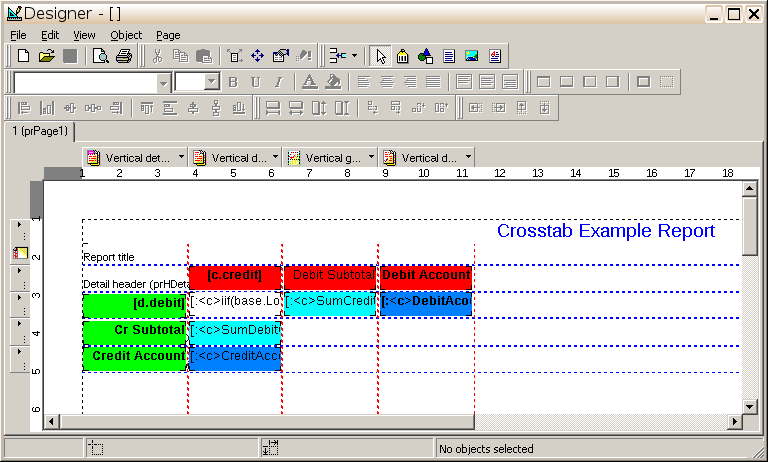 Please refer to report# 44, Cross Table Example Report, attached on screen [MzF5].